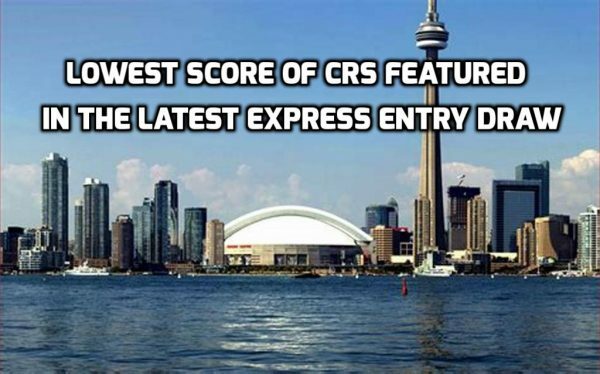 On December 19th, Canada set a new Express Entry invitation record in terms of featuring the lowest minimum score of 2018. The draw held on Wednesday issued 3,900 invitations to apply (ITAs) for Canadian permanent residence to the Express Entry candidates with scores as low as 439. It is the first time in 2018 that the minimum comprehensive ranking score (CRS) has dropped below 440. The drop in CRS is attributed to the fact that the Government of Canada maintained a large draw size twice a month. 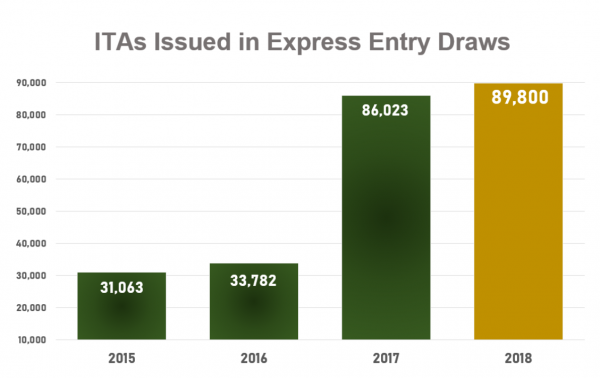 This draw also had significance in a way that the number of ITAs issued in 2018 has also officially exceeded those in 2017. A total of 89,800 ITAs have been issued this year, 3757 ITAs more than in 2017. With a number of Canadian government holidays in the next two weeks, this will likely mark the last draw in 2018. The Federal High Skilled economic immigration program manages three Express Entry pool of candidates, i.e. the Federal Skilled Worker Class, Federal Skilled Trades Class and Canadian Experience Class. Eligible candidates are assigned a CRS score based on factors such as age, education, work experience, and language proficiency in English or French, which determine their position in the Express Entry pool. The highest-ranked candidates in the pool receive an Invitation to Apply through draws conducted regularly. Immigration Experts is there to help you to gain a Canadian Permanent Residence. Just drop an email at wecare@immigrationexperts.pk to determine your eligibility, and get guidelines to boost the possibilities on being selected in the very next draw.